In one week, I'll be in Banff, Alberta, lining up to race the 2016 Tour Divide. All the training is behind me now. My last long ride was last weekend. My last weight training session was Wednesday. My last threshold workout on the trainer was yesterday. The last of the shopping is done. I made my last trip to my LBS yesterday (brake pads and tire sealant), and when I got home, UPS had delivered my last last-minute purchases (a replacement Craft ultralight mesh vest and a Veleau tube). All that's left is to tear the bike down, replace all the worn parts, check my pack list, squeeze everything into a box, and show up at the airport. "After" photo by John Schilling. Thanks John! To say I'm distracted is an understatement. And yet there was a time when none of this would have been remotely possible. I've been dreaming about the Tour Divide since I read about it in 2008, but as recently as 2012 I was so out of shape that I got winded riding the short loop at McDowell Mountain Park. It's three miles, and I had to stop three times because I thought my lungs were going to explode. 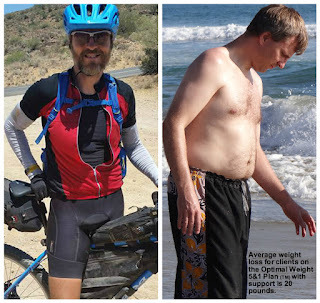 I was also seriously overweight, with a BMI teetering on obesity. Tour Divide was little more than a pipe dream. 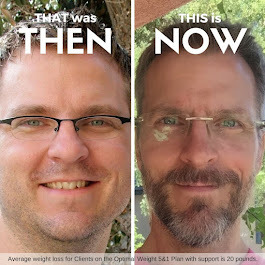 Then my wife clued me in to Take Shape For Life - she's a TSFL Certified Health Coach - and I started to get serious about getting the weight back into a healthy range. Over time I worked on my overall fitness, until voilá - I was finally in a place physically, mentally, and emotionally, where I could seriously think about doing this thing. Now I'm a health coach too. Together, my wife and I help others pursue optimal health, so they can turn their dreams into reality. Maybe ultra-endurance cycling isn't your thing, but whatever it is you dream about - whatever is on your "wouldn't it be cool if I could do that..." list - we can help. It's true. I'm living proof.